Rome International School is a private day school offering the best international education for students between the ages of 2 and 18. More than 500 students represent over 40 nationalities. 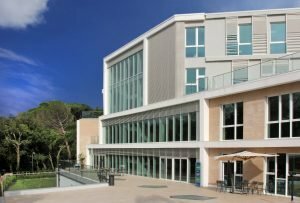 Immersed in the natural parkland of Monte Mario in Rome, the beautiful campus is resourced to the highest level and reflects the schools focus on critical thinking, inquiry based approaches and passion for life-long learning. Rome International School offers two IB programmes – the IB Primary Years Programme (PYP) for ages 3 to 11 and the IB Diploma Programme (DP) for ages 16 to 18.